Ground water can be closer to the surface than you may think! 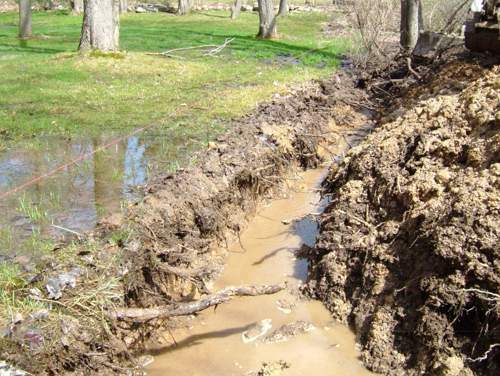 A French Drain groundwater system functions by continuously removing ground water from your property. 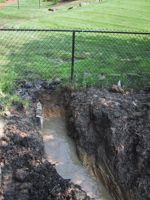 This not only makes your lawn and landscape more functional, but it also protects the foundation of your home as well. 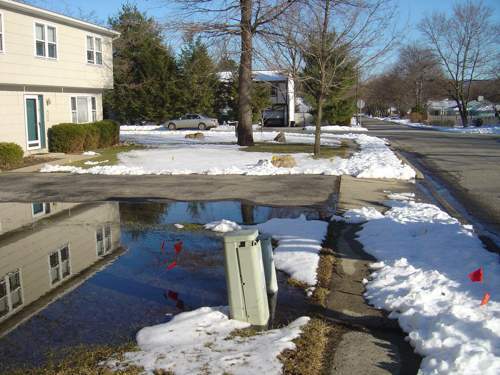 Many homeowners can benefit from installing a system of subsurface drains and surface drains to their property. 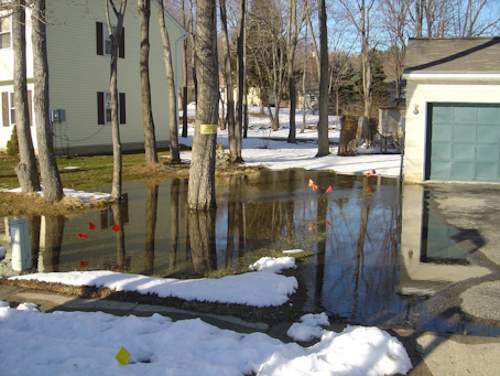 Correcting lawn saturation and pooling water is beneficial for your home's foundation and also to your lawn and landscape. 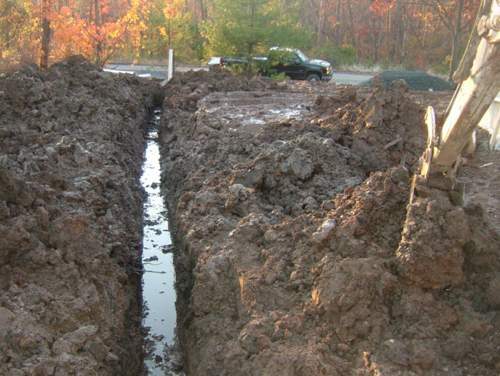 Water drains easily through crushed stone, and falls to the level of the perforated pipe at the bottom of the trench. 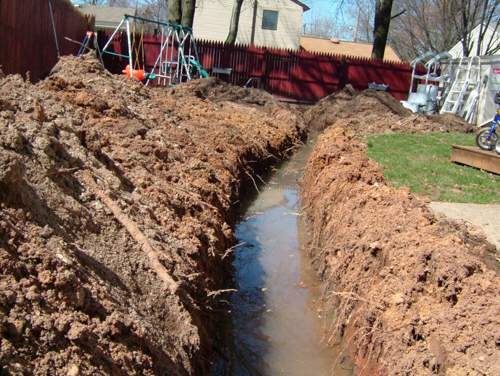 Because this perforated PVC pipe is continuously sloping downwards, all of the water from the entire length and depth of the french drain will collect in the pipe and be discharged at the termination point. 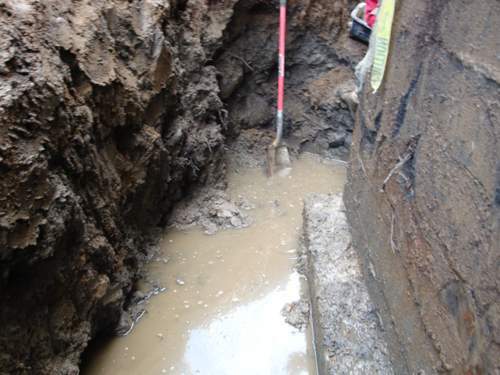 The photos below shows the extent of the groundwater in the excavation during construction of the french drains and surface drains at these home in Bergen, Essex, and Morris Counties. 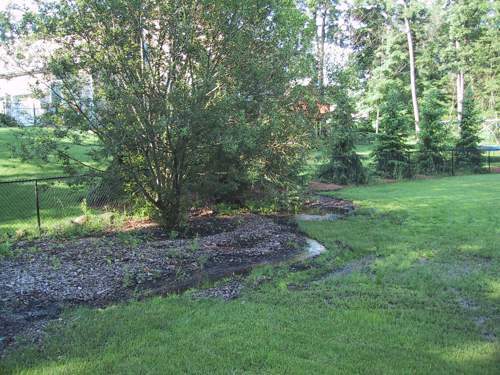 Each of these drainage projects involved a combination of surface drains, french drains, and regrading. 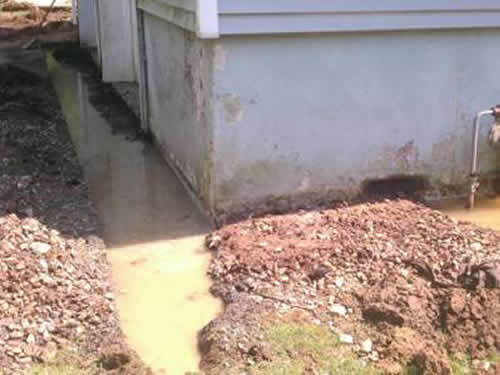 Some of the projetcts also involved the installation of an exterior foundation drain and waterproof membrane to eliminate basement water from the home. These improvements add value, comfort, and health benefits to your home. Prospective home buyers will always prefer a dry basement and lawn to a leaky, wet, musty basement and saturated lawn for the pets or children. In today's market, homes that have mold, moisture, or basement water problems often sell at a substantial discount to the market. 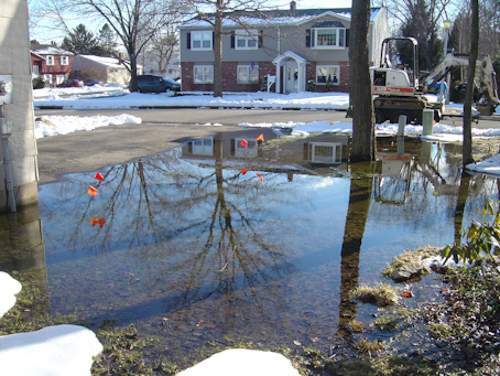 Don't let your home's value be decimated by water, mold, or moisture problems. 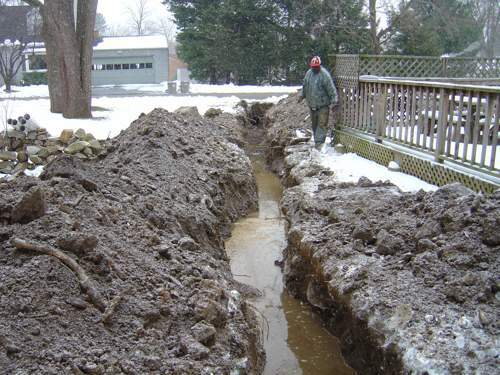 Have a professional design and install your back yard ground water remediation system today!